Studio portrait in front of a painted backdrop of the three Pond brothers, George F., James B., and Homer. They all have beards and moustaches. 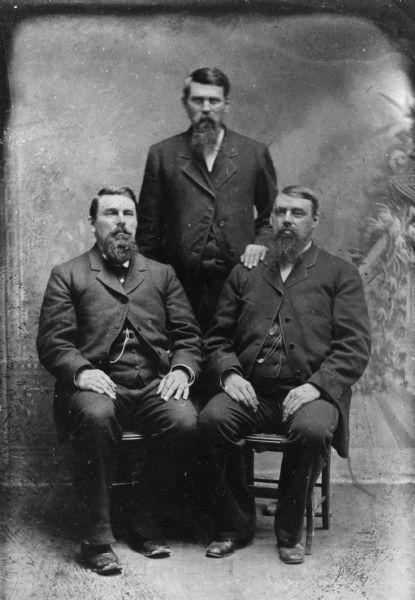 Two of the men are seated and one stands between them.